Kingsley Udofa is a doctoral researcher/academic at The School of Law at The University of Sheffield. He is also a qualified commercial lawyer, and member of the Nigerian Bar Association (NBA), and the Sheffield Institute of Corporate and Commercial Law (SICCL). 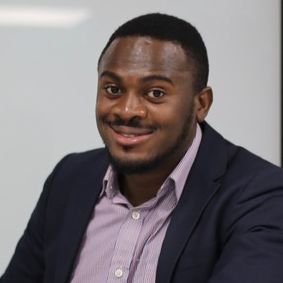 Kingsley’s major research interests are around the intersection of technology and commerce, with particular focus on e-payment systems for developing economies. His current work assesses the efficacy of existing regulatory frameworks in providing appropriate governance structures for cryptocurrency operations. By analysing global perspectives to cryptocurrency regulation and their potential impact on financial governance regimes, his research will potentially identify policy recommendations for the regulation of cryptocurrency. His current research is funded by the Nigerian Niger-Delta Development Commission (NDDC). Kingsley currently teaches several university modules on law, finance, and cryptocurrency. He has been invited to present his work at major academic and non-academic events within and outside the UK. Kingsley has also contributed interview articles to several legal magazines in Nigeria on cryptocurrencies, big-Data, and artificial intelligence (AI). Check out the incredible speaker line-up to see who will be joining Kingsley.